Cape Town - Cricket South Africa (CSA) on Friday congratulated the Proteas for their landmark achievements in the first Test against New Zealand at Newlands and on their excellent victory. 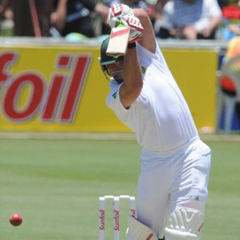 The Proteas won by an innings and 27 runs on the third day with almost half the playing time to spare. “Jacques Kallis’ achievement in reaching 13 000 Test match runs and Dale Steyn’s of joining the 300 wicket club are landmark achievements in the annals of our great game,” commented CSA Acting CEO Jacques Faul. “Jacques is also getting close to joining the 300 wickets club which will represent a unique double in the history of the game. “Dale also took his 50th Test wicket at Newlands and his 50th against New Zealand and these are also noteworthy achievements. “We take great pride in the achievements of the Proteas squad both as individuals and as a team and they have got the New Year off to a great start. To win any Test match inside three days is a stand-out effort.